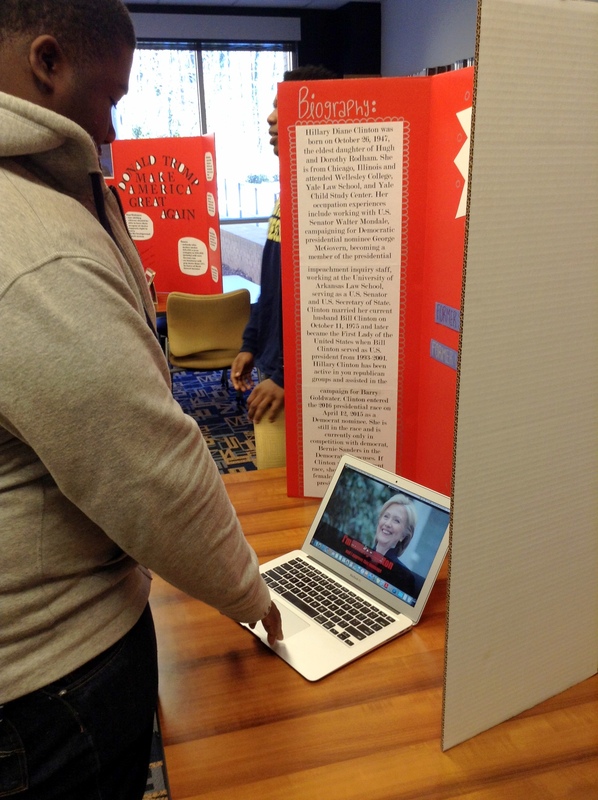 Mrs. Sloan’s Odyssey class created posters and visual ads for the candidates running for President in 2016. 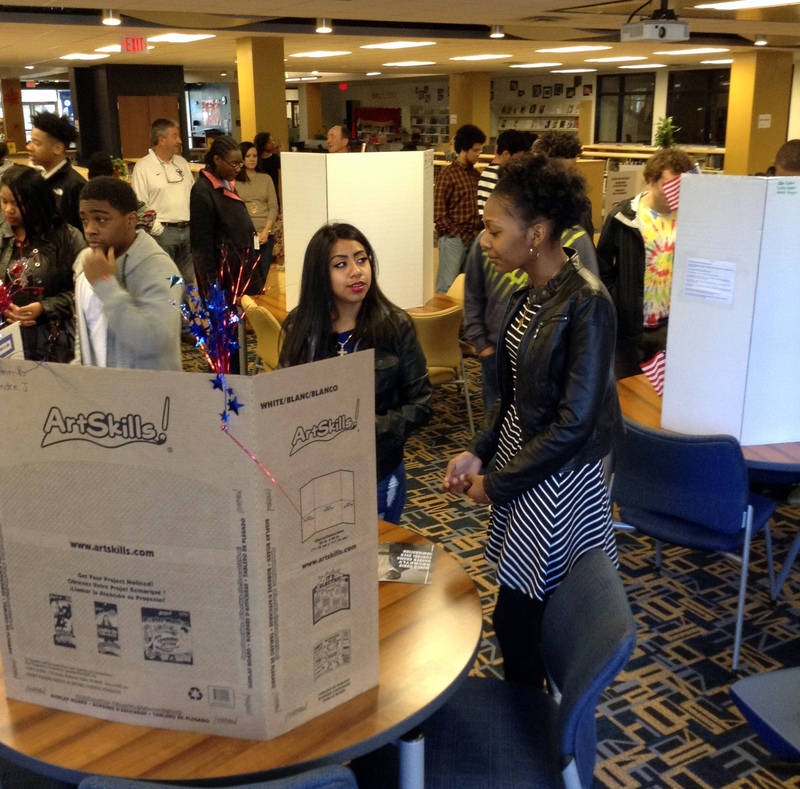 On February 26th, other social studies classes were invited to look at the posters and ads and then encouraged to vote. 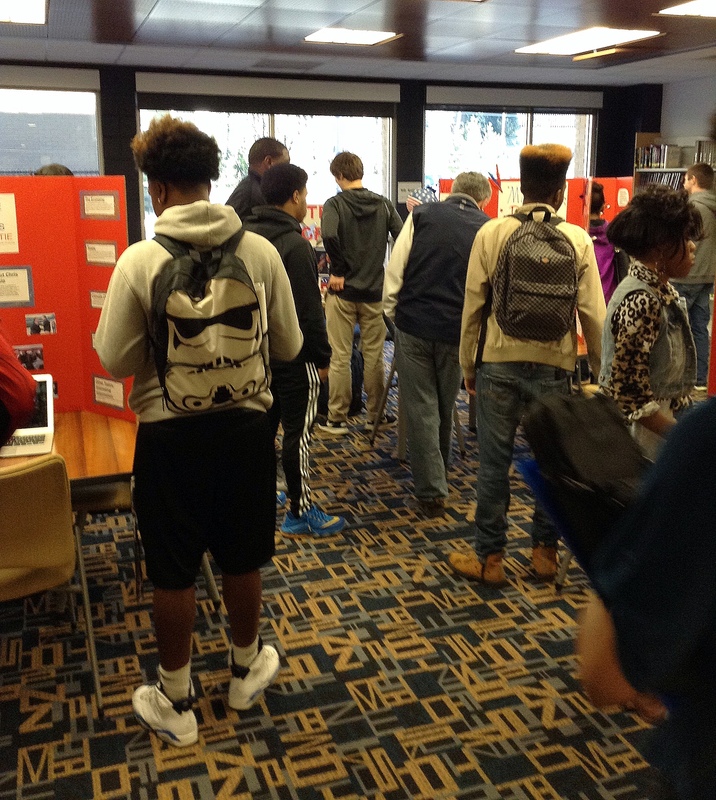 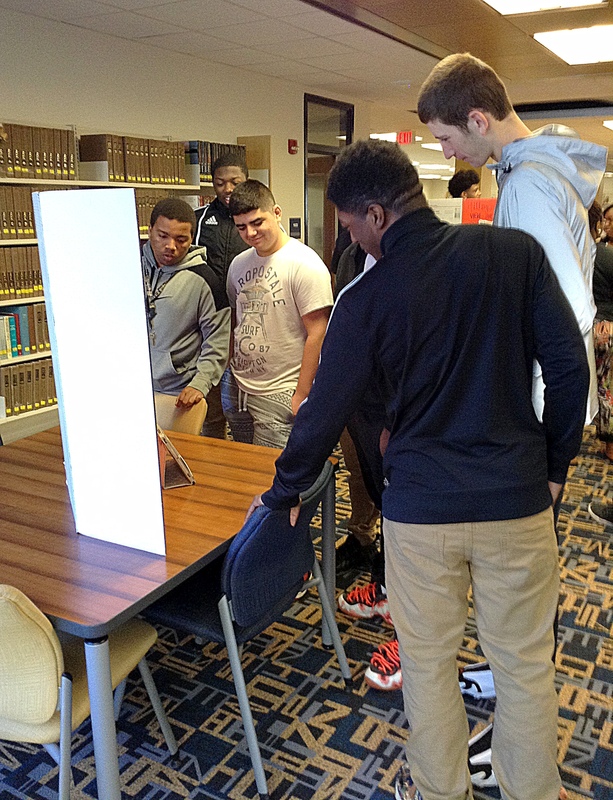 Visiting students and teachers were very engaged (and I’m pretty sure some study hall students snuck back to take a look) and interested. 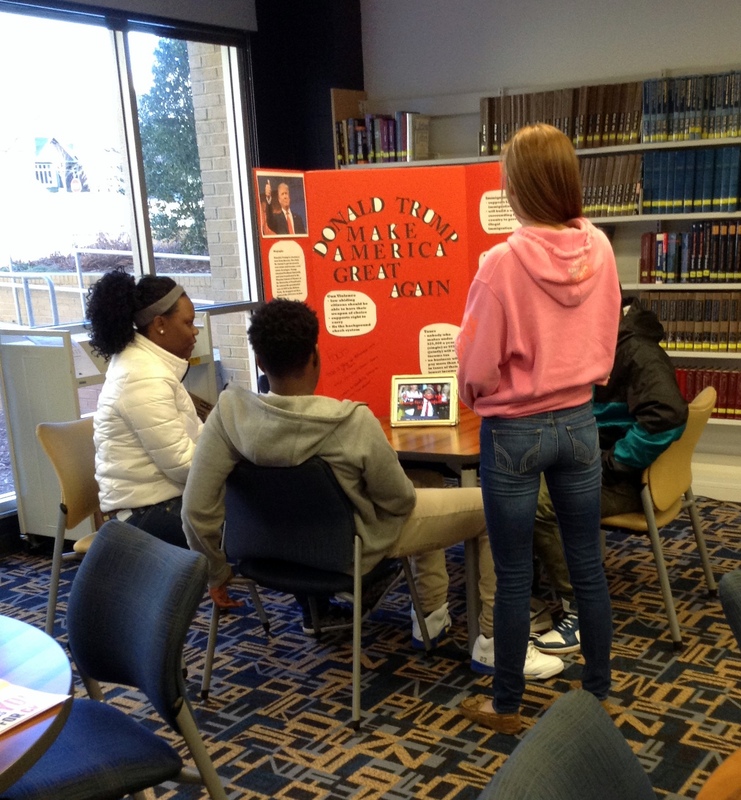 The Odyssey students did a great job laying out the facts and photos on the posters, and one young lady created such a catchy tune for her candidate that it turned into an ear worm for people who stopped by the table to take a listen!